Everyone’s body ages and as we get older, one of the largest issues we face is an imbalance in our hormones. There are a wide variety of symptoms that are well known ranging from cravings to a decrease in libido. By talking to your doctor you can easily find the best treatments for a hormone imbalance, but being able to recognize that you have a medical issue can help you to seek assistance. Cravings: One of the most common signs that your hormones might be off is if you have intense cravings for certain types of food. This can especially be seen in women that are pregnant, as their hormones won’t be leveled. 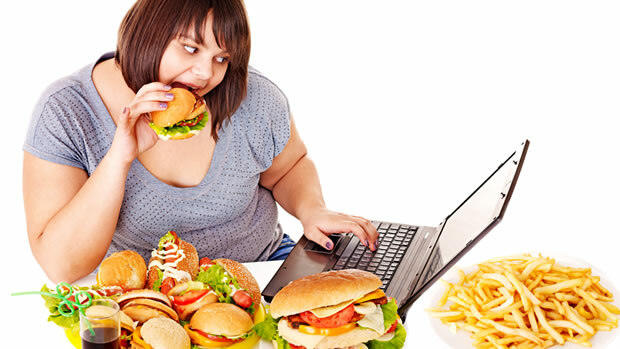 Excessive eating is another sign of a hormonal issue. Fatigue: If you know that you’re getting enough sleep every night and still waking up tired in the morning, there’s a high probability that you could be dealing with a hormone imbalance. One of the most common medical conditions that result in fatigue after a sufficient amount of sleep is adrenal fatigue. The less sleep that you get on a regular basis will result in a higher difficulty coping with hormonal concerns. Muscle Mass: There are several compounds needed to ensure that you build muscle; the most important is testosterone in men and women. Individuals who are dealing with hormone imbalances typically notice that they will lose a significant amount of muscle mass as they simply do not have enough testosterone flowing through their system. This could also be an indicator of other medical conditions and it is important that you seek medical guidance. Weight Gain: As mentioned, your hormones are responsible for regulating the types of food that you eat and the amount of food that you regularly consume. With an imbalance you’ll typically find yourself eating more foods and unhealthier ones as well. When your body doesn’t have enough estrogen, it will begin to store fats instead of use them for energy. Depression: Feeling depressed is a common sign of hormonal imbalance and these effects can typically be seen when women are going through their menstrual cycle. Skin Elasticity: When you take a look at your skin, the reason it has a high level of elasticity is because of collagen. Estrogen is the hormone that is responsible for not only producing but also regulating the amount of collagen in your skin. The less estrogen that you have, the less elastic your skin will appear to be which will result in premature aging and wrinkling.